10,000 square feet of ground floor retail and 17,000 square feet of second floor office, below 72 residential rental units. 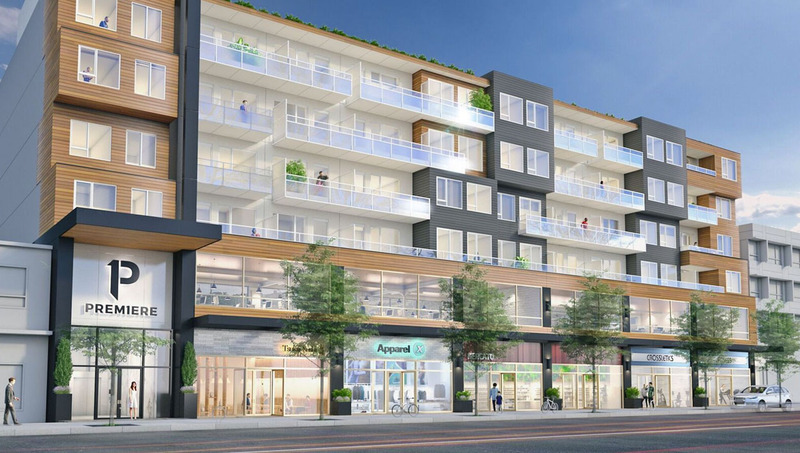 Premiere is a mixed-use development located in the heart of Sapperton overlooking a growing commercial corridor along East Columbia Street, which sees a steady flow of daytime pedestrian traffic created by the neighboring hospital and offices. The site is adjacent to the Royal Columbian Hospital (RCH) and new ‘Brewery District’ community in the City of New Westminster. The surrounding area is quickly growing as a dynamic, progressive and urban hub of New Westminster, offering a mix of residential high-rises, retail and office buildings. New Westminster’s IDEA economic development plan is being developed in conjunction with the expansion of Royal Columbian Hospital, in order to create expanded economic activity in the area and double the hospital floor space & health care services. Sapperton Skytrain station is a short 5 minute walk from the site, further enhancing the sites accessibility. Sapperton station provides connections to the Evergreen, Millennium and Expo lines and sees over 8,500 riders per day through the station. 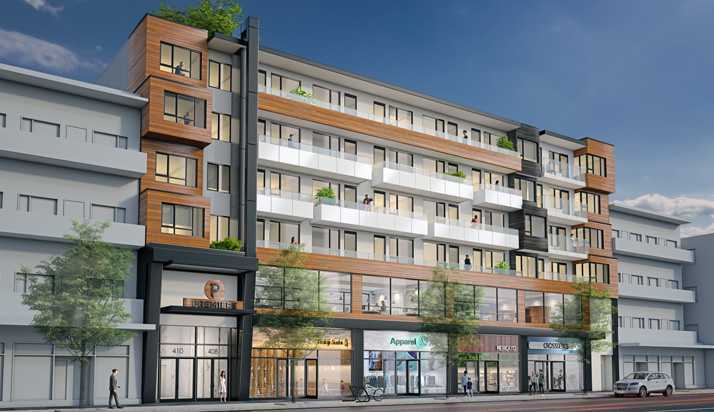 The site is also easily accessed by car due to its close proximity and connection to the Trans Canada Hwy (Hwy 1) and Lougheed Hwy (Hwy 7) which connects New Westminster west to Vancouver and the North Shore, and East to the Fraser Valley and Tri-Cities.